Fact-check: Is West Virginia's Summersville Lake the Clearest in the East? Fact-check: Is West Virginia’s Summersville Lake the Clearest in the East? Does West Virginia have the clearest freshwater lake east of the Mississippi River? Gov. Jim Justice said so in a tweet. 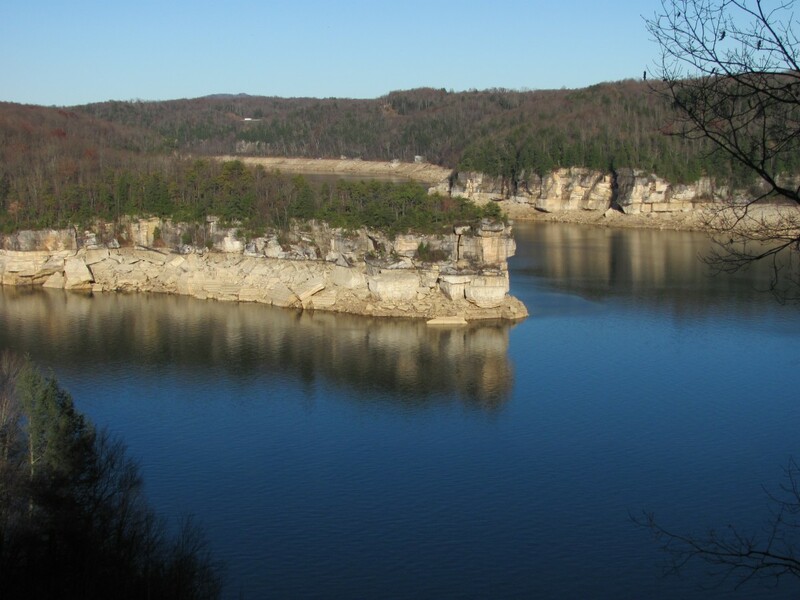 Summersville Lake is a man-made lake in the southern part of West Virginia. The Huntington District of the U.S. Army Corps of Engineers created the lake in the 1960s. Justice’s tweet links to an article on wvtourism.com, published by the West Virginia Tourism Office, an agency of the West Virginia Department of Commerce. The article describes the lake as great for swimming, boating, and underwater exploration. The destination has dive sites where rock formations can be seen 100 feet underwater. However, the WV Tourism article did not offer a specific source for the claim. We contacted the office, and they did not respond. When we reached out to the U.S. Army Corps of Engineers’ Huntington District, Toby Wood, project manager for Summersville Lake, said that the label “The Little Bahamas of the East” originated with a SCUBA magazine. “We consider that a claim-to-fame, and we repeat it often,” Wood said. In Google searches, we found references to that nickname attributed to Skin Diver magazine but did not locate the original article. We reached out to Peter Oliver, editor-in-chief of the National Association of Underwater Instructors’ magazine, Sources, and he said that from his experience, Summersville Lake has the same color as most lakes and reservoirs. “You’d be OK, I think, to call Summersville ‘one of the clearest,’ but it has that green tint common to almost all freshwater lakes and reservoirs. The water in the Florida spring systems is what we usually call ‘gin clear’ and since the water does not stand in the small lakes but flows out it stays clear,” Oliver said. Justice’s tweet went beyond that, saying specifically that the lake is the clearest in the eastern United States. An Army Corps of Engineers and several independent experts were unable to point to evidence for that first-place ranking. The statement contains an element of truth, but it offers a specific No. 1 ranking without a comprehensive study to back it up. We rate it Mostly False. Voting in the U.S. is an intentionally high-friction endeavor. Elections are held at in-person polling centers, open during hours when most people are working, on a day that hasn’t been made a national holiday. They’re governed by strict voter ID laws, designed to weed out imposters and in many cases succeeding mostly in disenfranchising people of color. And they’re often executed using decidedly low-tech methods—with paper ballots, susceptible to user error (never forget: hanging chads) and (accidental or deliberate) miscounts.Efficiency, some have argued, is not the point of the voting process. Security is. But this election season, West Virginia is trying out a new, blockchain-based voting system that officials hope can achieve both, simultaneously. And experts are calling it a “horrific idea.”In April, the state began asking some citizens serving in the overseas military to trade in mailed absentee ballots for digital ones, submitted through an app run by a Boston-based startup called Voatz. No one is forced to switch over to the new system, but two counties opted in for a May primary pilot, and overseas military from every county are eligible to use it for the November election. The votes will be converted into paper ballots and recorded with the other absentees. They’ll all be counted together in November. The process itself isn’t all that complicated: Blockchain is, pared down to its simplest elements, an online database of transactions. In the context of an election, those transactions are votes; the blockchain server itself is more like a virtual ballot box and an election administrator all in one. Identities are confirmed by selfie and state-issued ID, and then double-anonymized, according to Voatz, “first by the smartphone, and second by the blockchain server network.”West Virginia is the first U.S. state to attempt a blockchain-run election of this scale. But Voatz has run more than 30 pilot elections (ranging from the 2018 MassDems Convention to student council elections) since its launch in 2015, recording more than 75,000 votes in the process. 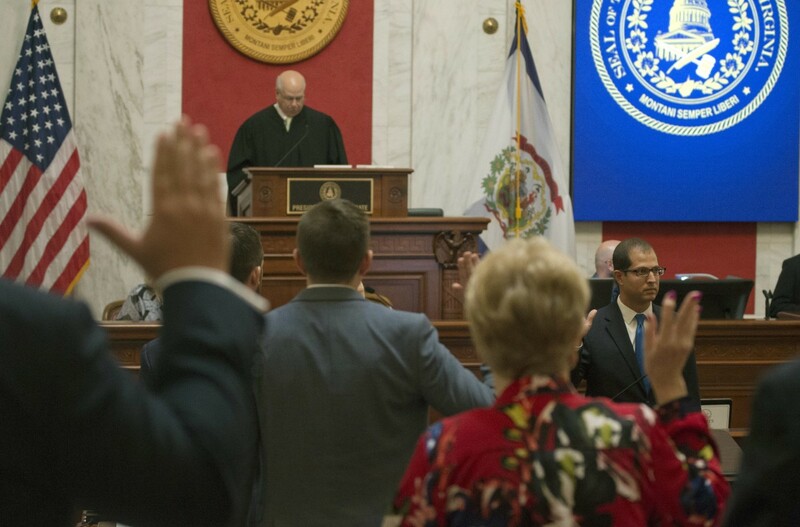 After West Virginia’s May primary pilot, “four audits of various components of the tool, including its cloud and blockchain infrastructure, revealed no problems,” CNN reported.Worldwide, trust in this new approach is growing. The Japanese city of Tsukuba became the first in the country to introduce their own version of blockchain-based voting this year, also for overseas military service members. Voters verify their identity in the system using Japan’s version of social security identifiers and weigh in not on elected officials, but on proposals for local social development programs. In Moscow, city residents can cast votes on some local municipal decisions (like street names) using a blockchain-based app called Active Citizen. Switzerland and Ukraine are trying versions this year, too. Taking things online might seem like the least secure option for the future of voting. But others have voiced concerns about the technology itself. According to a new paper from the National Academies of Sciences, Engineering, and Medicine, Securing the Vote: Protecting American Democracy, blockchain’s vaunted security measures could kick in too late: “If malware on a voter’s device alters a vote before it ever reaches a blockchain, the immutability of the blockchain fails to provide the desired integrity, and the voter may never know of the alteration.”This was put a bit more simply by Joseph Lorenzo Hall, the chief technologist at the Center for Democracy and Technology, who told CNN: “It’s internet voting on people’s horribly secured devices, over our horrible networks, to servers that are very difficult to secure without a physical paper record of the vote.”Such fears are not unique to a blockchain-based system, says Ari Juels, a professor of technology and computer science at Cornell Tech: Any internet-hosted voting platform would be similarly vulnerable. “It’s very challenging to secure users’ devices,” Juels said. “There’s a risk that even if the integrity of the voting infrastructure remains intact, users’ devices get hacked or compromised through things like spear phishing campaigns.”Voatz addresses this criticism on their website, saying they’ve gone to great lengths to ensure devices aren’t compromised in the first place. “Only certain classes of smartphones that are equipped with the latest security features are allowed to be used,” their FAQ reads.Offering more paths to voter enfranchisement for members of the military should, on its face, be a popular goal. 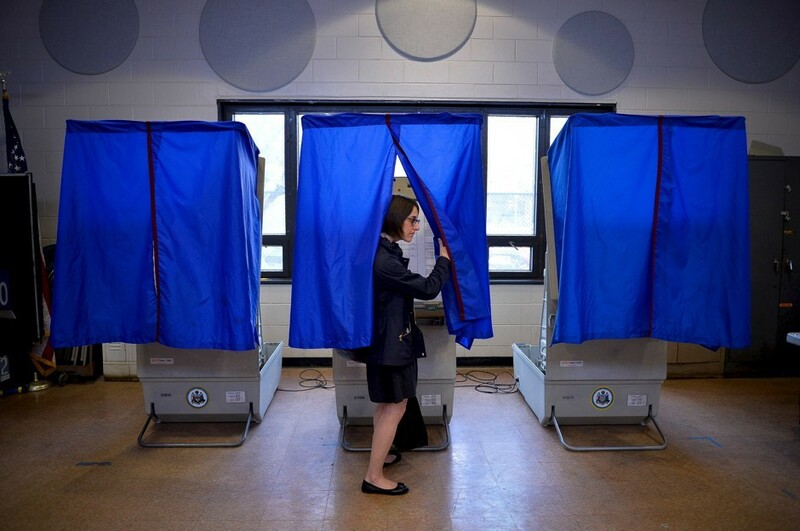 “There is nobody that deserves the right to vote any more than the guys that are out there, and the women that are out there, putting their lives on the line for us,” West Virginia Secretary of State Mac Warner told CNN. This article was originally published by CityLab. Fact-check: Did Joe Manchin stick with Hillary Clinton after controversial coal comment? Appearing at a rally with President Donald Trump in Charleston, W.Va., Patrick Morrisey — the Republican challenger to Democratic Sen. Joe Manchin — riled up the crowd by invoking a particularly embarrassing remark by Hillary Clinton, the 2016 presidential nominee of Manchin’s party. “Joe Manchin strongly supported and voted for Hillary Clinton after she said, ‘We’re going to put a lot of coal miners and coal companies out of work,’” Morrisey told the crowd after Trump turned over the podium on Aug. 21, 2018. While the latter portion of her comments communicated empathy for coal-mining families, her remark that “were going to put a lot of coal miners and coal companies out of business” drew intense criticism, not only from Americans in coal country but also with her allies, who said Clinton’s phrasing seemed to trivialize the seriousness of coal workers’ economic dilemma. Manchin and Clinton had known each other for years, and he endorsed her on CBS’s Face the Nation on April 19, 2015. “I support Hillary Clinton. I know Hillary Clinton, and I find her to be warm and engaging, compassionate and tough. All of the above, ” Manchin said. “First, Manchin told Bill Clinton that he would withdraw his support, as the former president pleaded with him not to,” Politico reported, “Then Hillary Clinton called him. ‘She said, ‘Please don’t. Let me come to West Virginia, I need to explain.’ I said, ‘That’s a bad idea, you shouldn’t come,’” Manchin recounted. 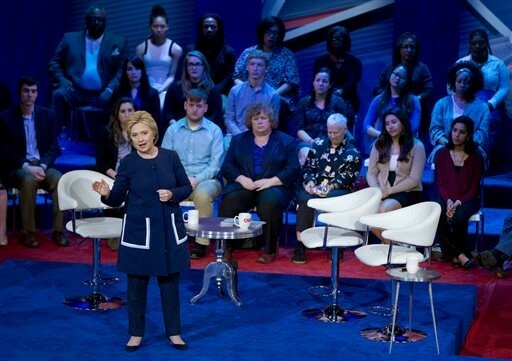 But the two sides reconciled, and on March 15 — two days after the town hall — Clinton formally reacted to the fallout from her remark, sending a letter to Manchin. “I pledge to you that I will focus my team and my Administration on bringing jobs to Appalachia, especially jobs producing the carbon capture technology we need for the future,” Clinton wrote. “I have two ways to go when that statement came out,” Manchin said. “I could have said, ‘I thought she was my friend, by golly I’m done, I’m gone.’ Now that’s not the way we were raised, I wasn’t raised that way. So, I said I’m going to call” her instead. He added, “If I thought that was in her heart, if I thought she wanted to eliminate one job in West Virginia, I wouldn’t be sitting here, and she wouldn’t be sitting here if she felt that way.”. Manchin’s office did not respond to an inquiry, but CNN reported on June 17, 2016, that Manchin remained one of the Democratic Senators who were “backing” Clinton for president. It’s worth noting some of the context that Morrisey left out — that Clinton had also expressed empathy for coal miners’ economic challenges in her initial remark, that she later clarified what she had meant to say, and that Manchin had worked to convince Clinton of why her remarks had been unacceptable. Still, none of that changes the gist of Morrisey’s assertion — that Clinton said the remark, and that Manchin remained in her camp through the election (while we know he endorsed her, we do not know for sure he voted for her, as ballots are secret). We rate the statement Mostly True.